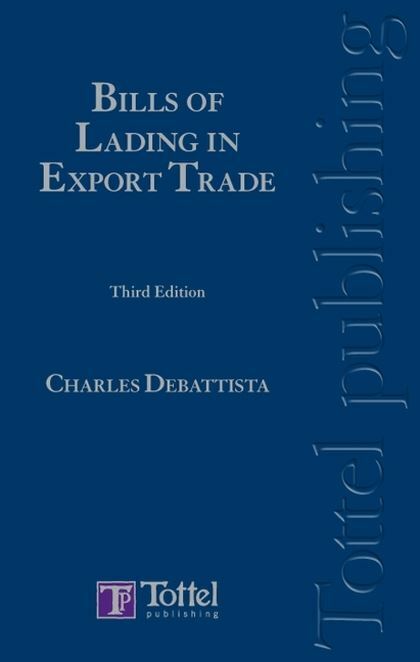 The third edition of Professor Charles Debattista's well-respected book takes a unique look at the sale of goods carried by sea under bills of lading It looks at the document as an instrument of international trade, concentrating on the different things that sellers, buyers and banks want out of bills of lading. It also looks at the practical and legal problems which arise when the sale, carriage and letter of credit contracts do not agree on what the bill of lading should look like. Must a straight bill of lading be presented for delivery of goods? When can a carrier clause a bill Does the letter of credit help in identifying the carrier under a bill of lading? These questions lie at the centre of the sometimes difficult connections between the contracts of sale, carriage and letter of credit. 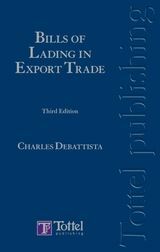 No shipping or international trade practitioner should be without a copy of this book. Uniform Customs and Practice for Documentary Credits (UCP600).